López-Blanco J.R. and Chacón P. (2019) KORP: Knowledge-based 6D potential for fast protein and loop modeling. Bioinformatics (https://doi.org/10.1093/bioinformatics/btz026). JL Tenthorey, N Haloupek, JR López-Blanco, P Grob, E Adamson, E Hartenian, NA Lind, P Chacón, E Nogales, RE Vance (2017). Structural basis of flagellin detection by NAIP5: a strategy to limit pathogen immune evasion. Science 358 (6365), 888-93. Pablo Solar Rodríguez (2017). Autonomous University of Barcelona, Open University of Catalonia. MSc Thesis. Development, optimization, and integration of molecular fitting tools and models in UCSF Chimera. Erney Ramírez-Aportela (2016) Universidad Autónoma de Madrid. Thesis. Dinámica de los Filamentos de FtsZ y Búsqueda Racional de Inhibidores Sintéticos con Actividad Antibacteriana (Spanish). López-Blanco J.R. and Chacón P. (2016). New generation of elastic network models. Curr. Opin. Struct. Biol. 37:46–53. Santiago García Sánchez (2015) Universidad Juan Carlos I. Thesis. Optimización de procesos de ajuste en microscopía electrónica y cribado virtual de proteínas mediante arquitecturas gráficas (Spanish). M.Artola, L.B.Ruiz-Avila, A.Vergoñós, S.Huecas, L. Araujo-Bazán, M. Martín-Fontecha, H. Vázquez-Villa, C. Turrado, E. Ramírez-Aportela, A. Hoegl, M. Bruce Nodwell, I. Barasoain, P. Chacon, S. Axel Sieber, J.M. Andreu and M.L. López-Rodríguez. (2015) Effective GTP-Replacing FtsZ Inhibitors and Antibacterial Mechanism of Action. ACS Chem. Biol. 10(3):834–843. López-Blanco J.R. and Chacón P. (2015) Structural modeling from electron microscopy data. WIREs Comput Mol Sci, 5: 62–81. Silva-Martín N., Bartual S.G., Ramírez-Aportela E., Chacón P., Park C.G., and Hermoso J.A. (2014). Structural Basis for Selective Recognition of Endogenous and Microbial Polysaccharides by Macrophage Receptor SIGN-R1. Structure 22 (11):1595–1606. 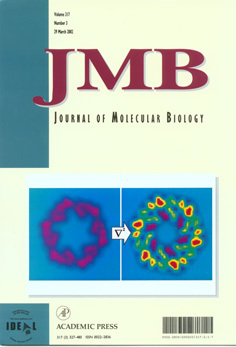 López-Blanco J.R., Miyashita O., Tama F. and Chacón P. (2014) Normal mode analysis in structural biology (version 2.0). In: eLS. John Wiley and Sons, Ltd: Chichester. López-Blanco J.R., R. Reyes, J.I. Aliaga, R.M Badia, P. Chacón, E.S. Quintana-Ortí (2013) Exploring Large Macromolecular Functional Motions on Clusters of Multicore Processors. JCOMP. 246: 275–288. López-Blanco JR (2012) UCM. Thesis. Nuevos métodos para el ajuste flexible de estructuras macromoleculares a distintas resoluciones empleando modos normales de vibración en coordenadas internas. (Spanish). López-Blanco JR, Garzón JI, Chacón P. (2011). iMod: multipurpose normal mode analysis in internal coordinates. Bioinformatics. 27 (20): 2843-2850. Garzón J.I.. (2010) UCM. Thesis. Desarrollo de nuevas metodologías para el ajuste de estructuras tridimensionales en biomoléculas sobre infratestructuras Grid. (Spanish). Torreira E, Jha S, López-Blanco JR, Arias-Palomo E, Chacón P, Cañas C, Ayora S, Dutta A, Llorca O. (2008)Architecture of the pontin/reptin complex, essential in the assembly of several macromolecular complexes. Structure. 16(10):1511-20. Garzón JI, E. Huedo, R.S. Montero, I. Martín-Llorente, P. Chacón (2007) Adaptation of a Multi-Resolution Docking Bioinformatics Application to the Grid. . Journal of Software. 2:1-10. Rueda M., P. Chacón, and M. Orozco. Thorough Validation of Protein Normal Mode Analysis: A Comparative Study with Essential Dynamics. (2007). Structure. 15(5):565-575 . Garzón JI, J. A. Kovacs, R. Abagyan, and P. Chacón. Dfprot:A webtool for predicting local chain deformability Bioinformatics. (2007) Apr 1;23(7):901-2. R.M. Buey, B. Monterroso, M. Menéndez, G. Diakun, P. Chacón, J.A. Hermoso and Díaz, J.F. (2007). Insights into molecular plasticity of choline binding proteins (pneumococcal surface proteins) by SAXS J Mol Biol. 365:411-24. Martín-Benito J., J. Gómez-Reino, P.C. Stirling, V.F. Lundin, P. Gómez-Puertas, J. Boskovic, P. Chacón, J.J. Fernández, J. Berenguer, M.R. Leroux and J.M. Valpuesta. (2007) Divergent substrate-binding mechanisms reveal an evolutionary specialization of eukaryotic prefoldin compared to its archaeal counterpar. Structure. 15:101-10. Wriggers W, P. Chacón, J. Kovacs, F. Tama and S. Birmanns. (2004) Topology Representing Neural Networks Reconcile Biomolecular Shape, Structure, and Dynamics. Neurocomputing. 56:365-379. Boskovic J., Rivera-Calzada A., Maman J.D., Chacón P., Willison KR, Pearl L.H. and Llorca 0. (2003) Visualisation of DNA-induced conformational changes in the DNA repair kinase DNA-PKcs. EMBO J. 22:5875-5882. Opalka N., M. Chlenov, P. Chacón, W.J. Rice, W. Wriggers, and S. Darst. (2003) Structure and Function of the Transcription Elongation Factor GreB Bound to Bacterial RNA Polymerase. Cell 114:335-45. Kovacs J., P. Chacón, Y. Cong, E. Metwally, and W. Wriggers (2003) Fast Rotational Matching of Rigid Bodies by Fast Fourier Transform Acceleration of Five Degrees of Freedom. Acta Cryst. D. 59:1371-1376. Chacón P., F. Tama and W. Wriggers. (2003) Mega-Dalton Biomolecular Motion Captured from Electron Microscopy Reconstructions. J. Mol. Biol. 326:485-492. Chacón P. and W. Wriggers (2002) Multi-resolution Contour based Fitting of Macromolecular Structures. J. Mol. Biol. 317:375-384. Darst S.A., N. Opalka, P. Chacón, A. Polyakov, C. Richter, G. Zhang, and W. Wriggers. (2002) Conformational Flexibility of Bacterial RNA Polymerase. PNAS, 99:4296-4301. Wriggers W. and P. Chacón (2001) Using Situs for the registration of protein structures with low-resolution bead models from X-ray scattering . J. Appl. Cryst., 34:773-776. Wriggers W. and P. Chacón (2001) Modeling tricks and fitting techniques for multiresolution structures. Structure. 9:779-88. Unneberg P.B.D., J.J. Merelo, F. Morán and P. Chacón Proteins. (2001) SOMCD: method for evaluating protein secondary structure from UV circular dichroism spectra 42:460-70. Chacón P., J. Fernando Díaz, Federico Morán and José M. Andreu (2000) Reconstruction of Protein Form with X-ray Solution Scattering and a Genetic Algorithm, J.Mol.Biol. 299: 1289-1302. Chacón P. (1999) PhD Thesis: "Determinación de forma y tamaño de proteínas en disolución mediante dispersión de rayos-x y algoritmos genéticos". [Shape and size determination of proteins in solution from x-ray scattering and genetic algorithms]. Chemistry Faculty. University Complutense of Madrid. Chacón P., F. Morán, J. F. Díaz, E. Pantos, and J. M. Andreu (1998) Low- Resolution Structures of Proteins in Solution Retrieved from X-Ray Scattering with a Genetic Algorithm, Biophys. J. 74: 2760-2775. Díaz J.F., R. Strobbe, Y. Engelborghs, P. Chacón, and J. M. Andreu. (1998) Fast mixing device for time-resolved synchrotron x-ray scattering studies of radiation sensitive proteins. Rev. Sci. Instrum. 69(1) 286-289. Díaz J.F., J.M. Valpuesta, P. Chacón, G. Diakun y J.M. Andreu. (1998). Changes inmicrotubule protofilament number induced by taxol binding to an easily accessible site: internal microtubule dynamics? J. Biol. Chem 273(50):33803-10. Lambeir A.M., Diaz Pereira J.F., Chacón P., Vermeulen G., Heremans K., Devreese B., Van Beeumen J., De Meester I. & Scharpe S. (1997) A prediction of DPP IV/CD26 domain structure from a physico-chemical investigation of dipeptidyl peptidase IV (CD26) from human seminal plasma. Biochim Biophys Acta 1340(2), 215-226.
de Pereda J.M., Daniel Leynaider, Juan A. Evangelio, Pablo Chacón and José M. Andreu (1996) Tubulin Secondary Structure Analysis, Limited Proteolysis Sites, and Homology to Ftsz. Biochem. 35(45):14203-14215. Morán F., A. Moreno, J.J. Merelo & P.Chacón Eds. (1995) Lecture Notes in Artificial Intelligence 929. Advances in Artificial Life. Springer-Verlag. Chacón P. (1995). Algoritmos Evolutivos: algoritmos genéticos y de cuasiespecie. En Vida Artificial I. Colección Ciencia y Técnica Ramos Salavert, M. A. Fernández Graciani, P. González López, Ginés Moreno Valverde y T. Rojo Guillén (Eds). Ediciones de la Universidad de Castilla-La Mancha. pp. 85-111. Morán F. P. Chacón y J.C. Nuño. (1995) Evolución y selección en el marco de la vida artificial (1995) En Vida Artificial I. Colección Ciencia y Técnica Ramos Salavert, M. A. Fernández Graciani, P. González López, Ginés Moreno Valverde y T. Rojo Guillén (Eds). Ediciones de la Universidad de Castilla-La Mancha. pp. 36-61. Chacón P., J.C. Nuño y F. Morán. (1993). Estructuras espaciales en un sistema cerrado formado por especies auto-replicativas. Anales de Química . 6:379-385. Andrade, M.A., P. Chacón, J.J. Merelo and F. Morán. (1993). Evaluation of secondary structure of proteins from UV circular dichroism using an unsupervised learning neural network. Prot. Eng. 6:383-390.